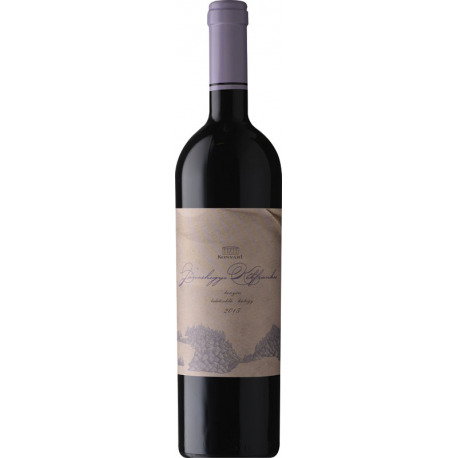 Dark ruby coloured red wine from Balaton with a purple rim, and explosive, spicy, blackberry aromas. Harvested from the German clone of János-hegy, the ripe fruit went through several rounds of selection, then the smaller part of it was aged in new, the larger part in used five-hectolitre barrels for a year. A juicy, tasty, zesty, long wine from 2015.